Garden row order and plant ratio. (Part 5) - Perelandra Ltd. The full picture of your co-creative garden for this year is about to unfold before you! When you complete this week's garden session, you will see the full picture of your co-creative garden for this year. So let's get right to it. You know if your garden will be planted in straight or curved rows, or no rows (part 2). You have your seed and plant list (part 3). And you know which plants go into which rows or sections (part 4). Now you're ready to learn how many plants will be going in, and the way the plants will lay out next to one another. Remember, in a co-creative garden you won't necessarily be planting a row of broccoli, then a row of tomatoes, then a corner of herbs. When you are asking where to locate the plants/seeds, keep your mind open to all possibilities for how they will be placed. One row could layout like this: 2 broccoli, 1 tomato, 3 dill, 5 zinnia, 1 pepper, 1 broccoli, 1 basil, etc. Or you might have an oval section that contains 1/4 packet of collard seeds, 1/8 pack of carrot seed, 3 petunias, 2 marigolds, 6 oregano, 1 squash. Or maybe you'll have 4 broccoli plants in a row. Get the idea? You'll identify the placement of each seed type/plant and how many to plant. Some plants may be in more than one location, in different ratios. Hit the Start Button. 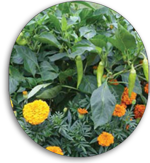 Tell nature you are ready to get the information for the order and ratio of the plants in your garden. One easy way to do this is to use Paper Tags. See the paragraph on page 101 about making paper tags. Since you are following your gut as nature works with you, you can sit at the table and arrange your tags as you feel nature is leading you to do. Talk aloud as you do this. Tell nature when you aren't sure where to place something. Ask questions and speak to nature. Then follow your gut. This is teamwork. After you have arranged your tags, ask aloud one tag at a time, how many (name of plant) are to go in that spot. Write the first number that pops into your head on that tag. 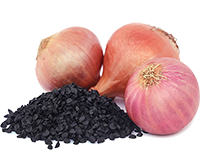 If you are ordering seeds and plants, be sure to place those orders this week. If you will be buying plants at your local nurseries and greenhouses, make a shopping list with the total number of each plant that you'll need. Then, when it comes time to head out in early spring, you just need to grab that list. 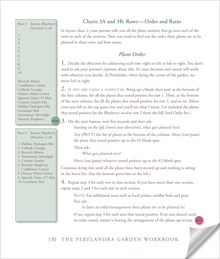 You are reading and working with pages 130-135 of The Perelandra Garden Workbook today. Machaelle explains exactly how to determine your plant order and ratio and how to chart it out. If you are ordering seeds and plants when you finish this session, you'll have your numbers, so be sure to place those orders this week. If you'll be buying plants at your local nurseries/greenhouses, make a shopping list with the total number of each plant that you'll need. Then, when it comes time to head out in early spring, you just need to grab that list. Everyone: Read "Nature On Seeds" in The Perelandra Garden Workbook (pages 135-137) for further insight. Returning Gardeners: If many of the same plants/seeds are going into your garden this season, take care not to assume the layout will be like last year's. That said, don't worry if you test to put the same plant in the same place this year!